Deciding to go to therapy or seeking peer support is a powerful first step to achieving mental well-being. As you explore treatment options, you’ll have a choice between two overarching categories: individual care or support groups. Each is adaptable to a variety of treatment paradigms, and each has unique benefits and drawbacks. Review this list of the pros and cons to help pick which best suits your needs, and remember – no matter which type of therapy you choose, seeking help is something to celebrate. Individual therapy is between you and the mental health professional. This professional can be a licensed therapist or even a peer coach who has been through similar issues and can offer the wisdom of experience. The focus of individual treatment is removing all external influences. Many people find that privacy and one-on-one setup is more welcoming and helps build a bond with the mental health professional. Individual therapy may not be best for everyone, however. You may miss out on peer support, or pass by opportunities to learn from people who have successfully modified their behavior to address their problems. While mental health professionals do their utmost to put everyone at ease, some people might find the individual focus uncomfortable. 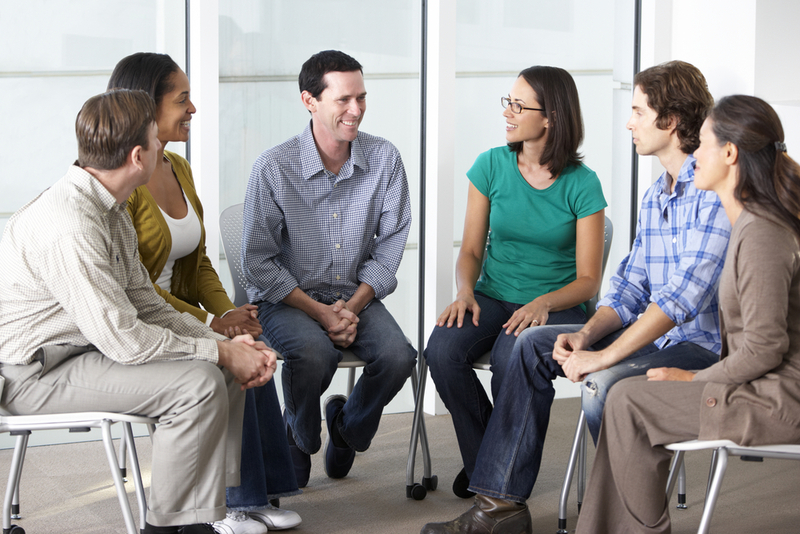 Group therapy sessions can take many forms, but the goal is to provide access to peer support and help participants learn from each other. Some people find it easier to communicate in a group setting. Some may also benefit from having the option to sit back and listen. Many mental health professionals who lead group therapy sessions promote a collaborative approach in which you work with others to overcome challenges. The disadvantages of the group format include a reduced level of personal attention compared to individual therapy. The topics discussed may not always be relevant to you, and it might be too tempting to sit back and observe other members of the group instead of actively tackling your problems. Some may find large groups to be overwhelming, or that it’s not the best environment for sharing personal feelings. No matter whether you prefer individual or group support, Mental Health Association of Rochester/Monroe County can connect you with care to help you overcome challenges. This non-profit organization has been a resource for residents of Rochester, NY and surrounding areas for over 85 years, connecting people living with anxiety, mental illness, depression, and other mental health issues with comprehensive, personalized care. They promote wellness through coaching and peer support services, life skills workshops, and anger management classes, and also offer free therapist referral services. Call (585) 325-3145 today to schedule a consultation and visit them online to learn more about their services. You can also connect on Facebook for regular news and mental health updates.